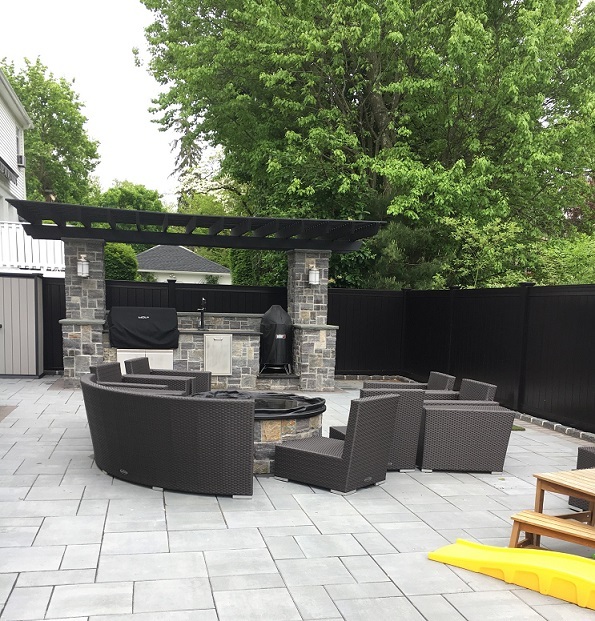 If you are looking for a new fence, or want to replace your old one come visit King Fence and check out all the new styles and options you have available to you when visiting our showroom. We are your top fence company in Westchester! 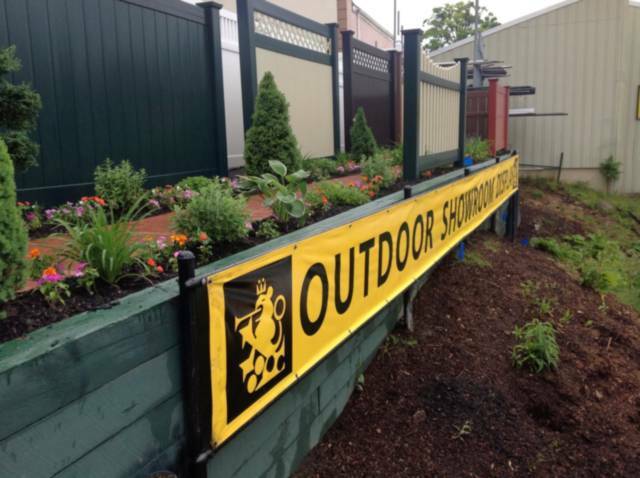 Come visit us and view, feel, and even smell what type of fence you could be calling your own! Our fence company in Westchester can help you select the best fence for your property, and the fence that will be your style needs. A great fence adds value to your property, and pleasure to everyone who views it. 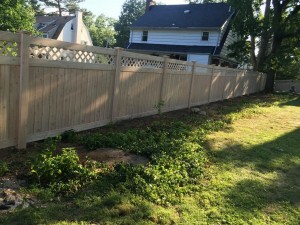 At King Fence we help Westchester property owners find and install the fence of their dreams! Are you searching for the best fence company in Westchester? 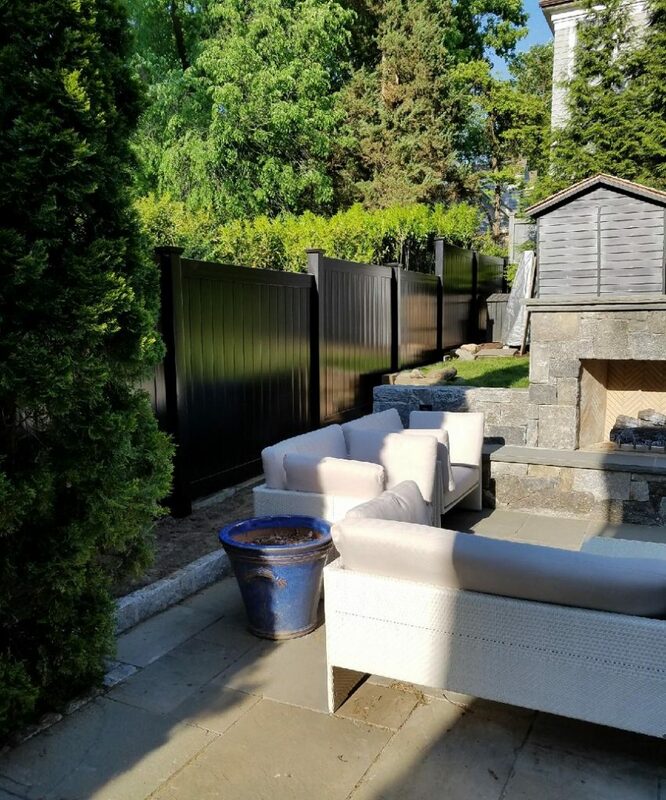 King Fence, the Best Westchester Fence Company, serving Westchester property owners with top of the line fence materials and fencing services; we deliver on the promise and will make your fencing dream a reality. 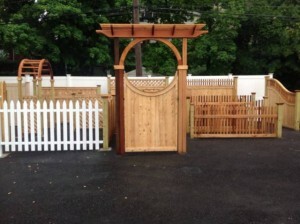 As a top Westchester fence company those who want the best service come to us! King Fence started building customized fencing materials at our Yonkers factory in 1962. We offer a wide variety of in wood, aluminum,chain link and vinyl fencing. 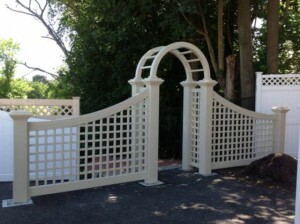 A commitment to quality has always been the hallmark of King Fence. Our company provides the finest fencing service and we are dedicated to providing value to every property owner we serve. Our fence company has been the #1 fence company in Westchester for over 50 years; and we have earned our name King Fence! 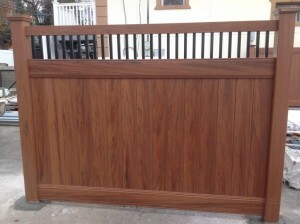 Why call King Fence when you are looking for the #1 Westchester fence company? We use only the finest materials and refuse to compromise on quality at any point in the production process. The result is the most durable, best-built custom cedar fencing you’ll find in the Westchester, Putnam, Rockland, CT, and NYC area. Our commitment to quality will save you money in the long run. 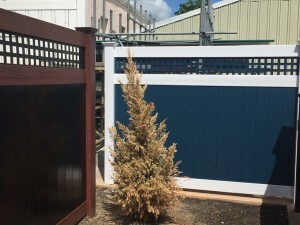 Our fence contractors are the best in the business and will help you select the best fence for your property, based on your style and functional needs making sure that you’re happy with the selection you have made. We understand that investing in a fence for your property is a major decision, and at King Fence our team is ready to assist you at every step. Your complete satisfaction is our top priority! Not many companies in Westchester can claim title to being the best in their industry, and this becomes even a harder title to obtain in the fence industry here in Westchester. King Fence is honored and proud to have held the reputation as the best Westchester fence company, spanning all of Westchester County. 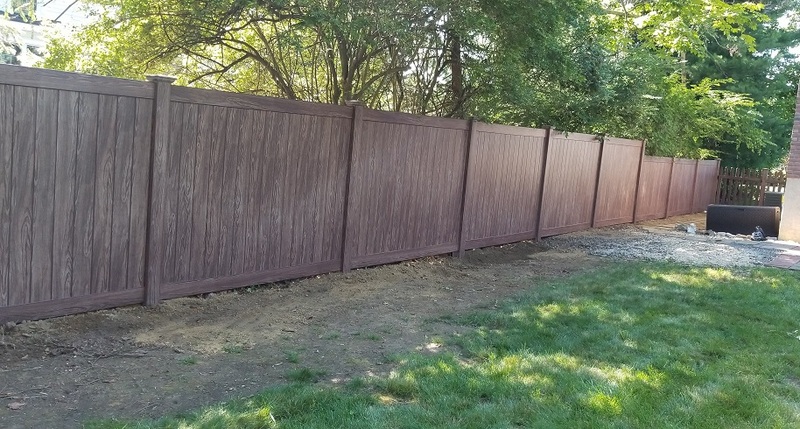 When looking to hire a great fence company in Westchester then give us a call at King Fence, we are ready to provide you with the finest materials and the best customer service. We are your top Westchester fence company! 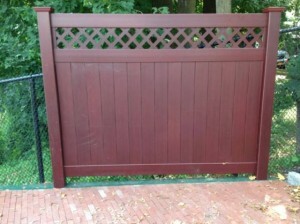 Vinyl Fence Installation in Pelham Manor. 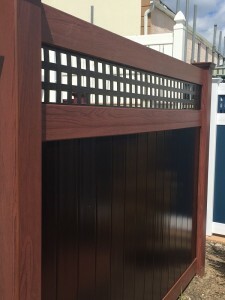 This White Cedar wood grain fence looks like real cedar wood and is 100% Maintenance free. 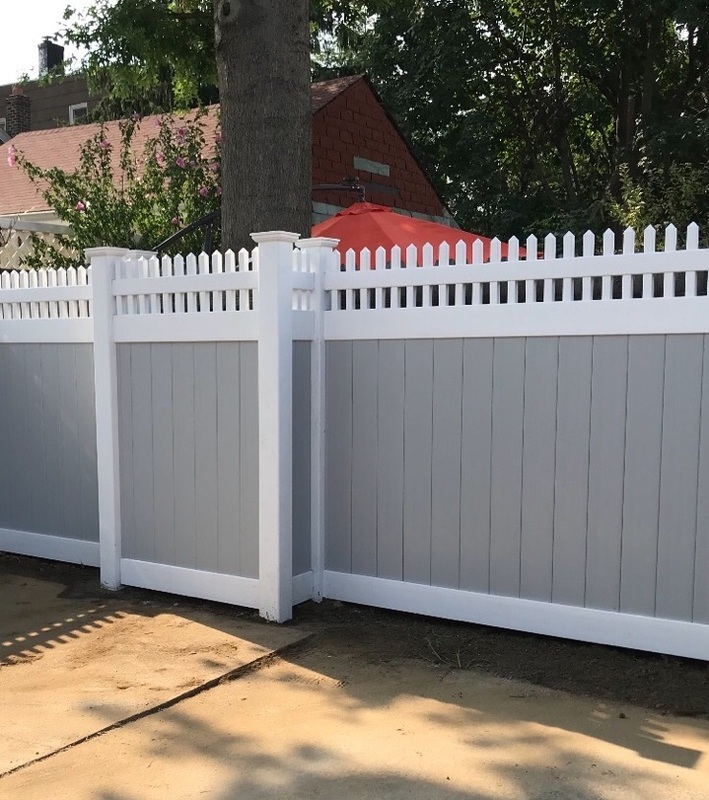 If you’re looking for a White Cedar Vinyl Fence in Pelham Manor, or want to speak with one of our local fence experts then please give us a call now. 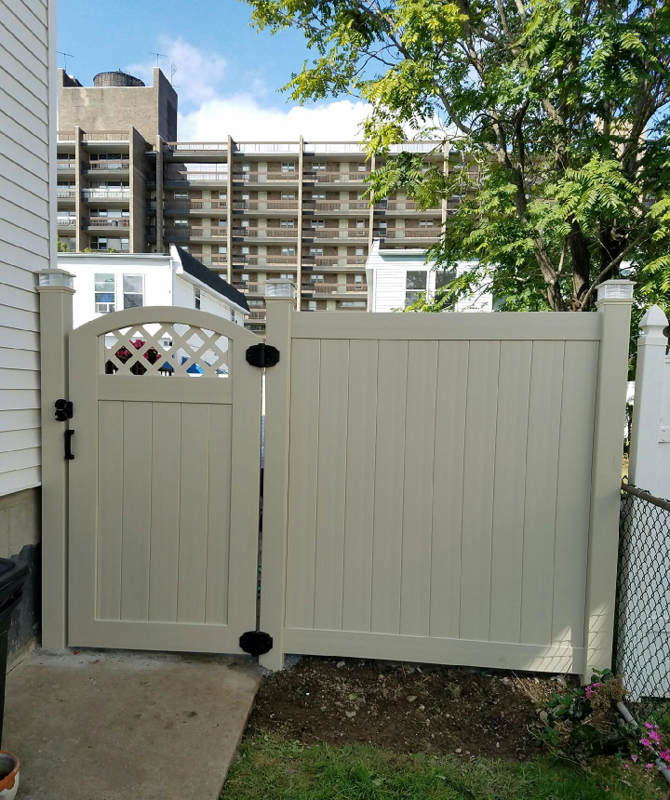 Your front gate or entrance way sets the tone for your property, and Westchester property owners that are looking for luxury gates and fences can rely on King Fence to deliver them the most elegant fences and gates in the tri-state area. King Fence is the top Westchester fence company serving our customers since 1962! When you work with our fence contractors you are getting over five decades of experience and innovation. 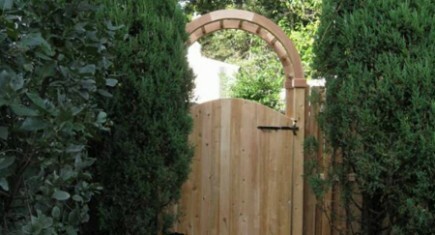 At King Fence we sell, install and service luxury aluminum gates and fences. We also carry luxury aluminum fences by Jerith. Jerith aluminum fences offer the beauty and protection of traditional wrought iron fencing without the maintenance. 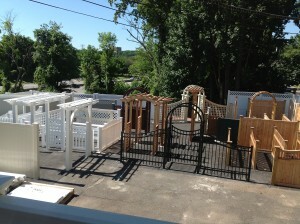 There is a reason why when property owners in Westchester want to work with the best fence company they call King Fence. 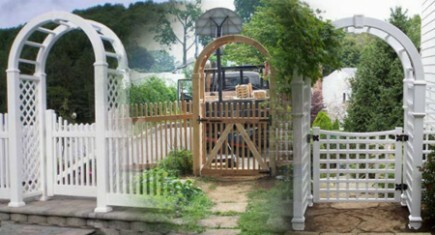 Westchester luxury gates and fences crafted and installed by King Fence are like no other. We work with the most discerning clients who expect quality, attention to detail, and high-end results. Most of the clients we work with already understand the value of extraordinary service, and luxury craftsmanship. 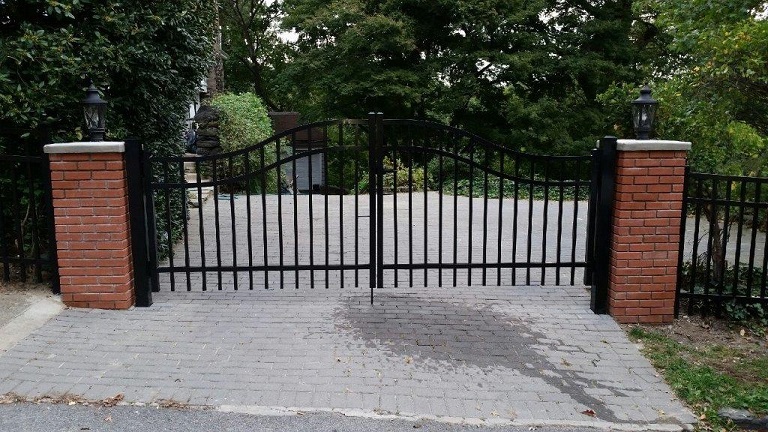 We pride ourselves on delivering exceptional service to Westchester property owners who look to us for all of their gate and fencing needs. You can check out our aluminum fence portfolio & gates or visit our Westchester fence showroom to view all of our luxury aluminum fences in person. If you’re in the market for a new aluminum fence or front gate then please call our Westchester fence contractors so we can help you select, and install the best fence based on your style preferences and needs. 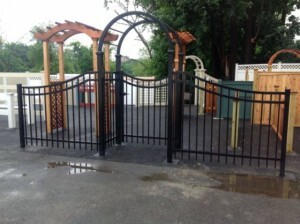 King Fence is your Westchester Luxury Aluminum Gates & Fence Company! Are you looking for a white vinyl fence for your property in Westchester? Our vinyl fences come in a variety of styles, prices, heights, uses and colors. Vinyl fences are durable and require very little maintenance. 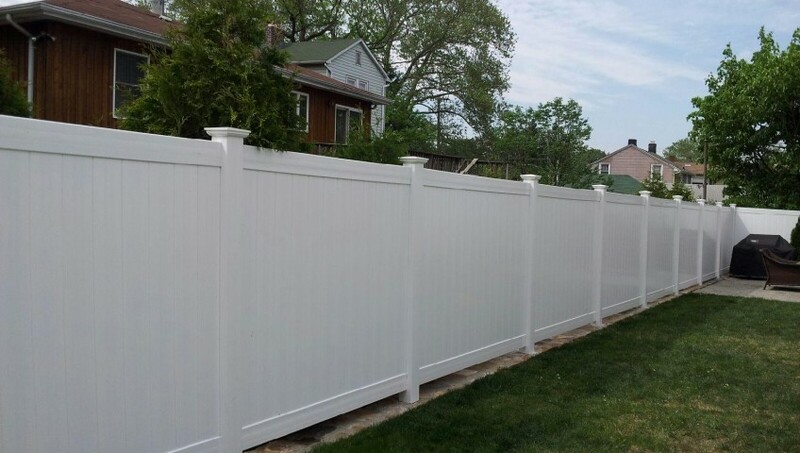 At King Fence we specialize in Vinyl Fencing and we carry some of the most beautiful, luxurious white vinyl fences available on the market. 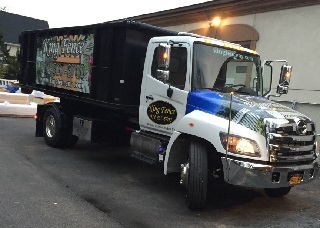 When you are looking to work with the #1 fence company in Westchester you want to call King Fence. To view more of our vinyl fences check out of vinyl fence portfolio or give us a call and one of our fencing experts would be happy to assist you. 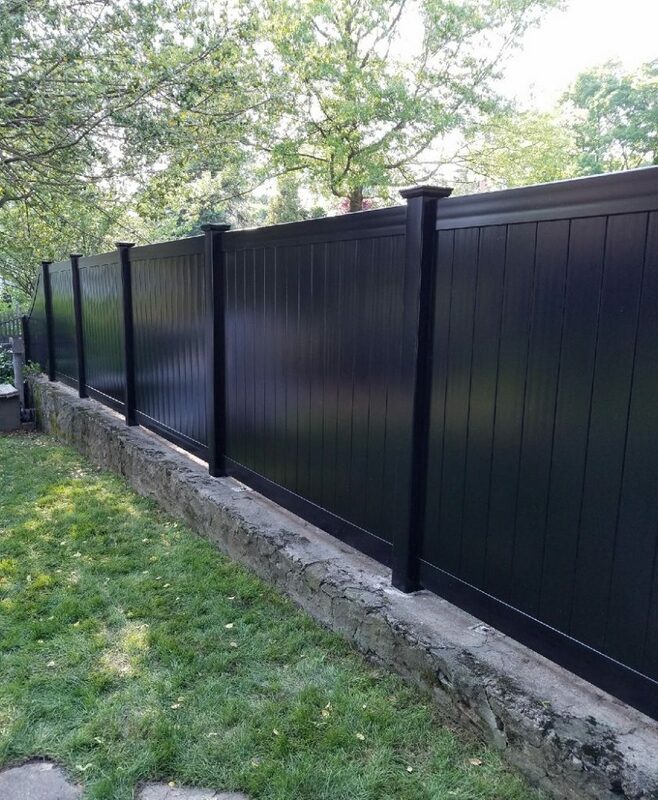 King Fence is the top Westchester fence company and we can help you with all of your vinyl fence needs. The weather is going to get warmer and its that time when property owners in Westchester start looking to replace their old fences. At King Fence we have our Westchester fence showroom ready to showoff our newest fence styles, hardware, and help you find the best fence for your property. Check out some of our new Vinyl Fences. 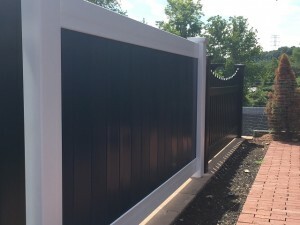 No matter your style or the functional needs of the fence you desire, at King Fence we can help you find the best vinyl fence for your property. 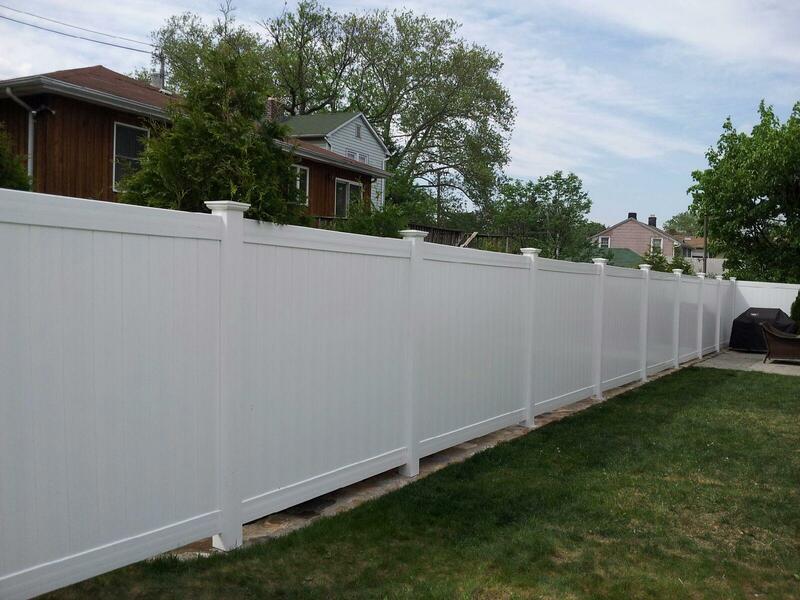 Come visit us – we’re your Westchester fence company for all your vinyl fence needs. At King Fence we can help you make your yard your own private getaway, with an expertly installed fence by the top Westchester Fence Company! We use only the finest materials and refuse to compromise on quality at any point in the production process. 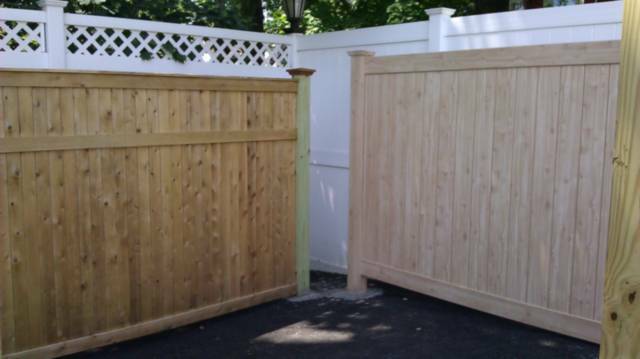 The result is the most durable, best-built custom fencing for your Westchester property.